What’s the Strongest Bone in a Dog’s Body? Which bone of the dog’s body is the strongest of all? For those who answered that a dog’s strongest bone is the femur, they were very close. The femur is often considered the longest bone of the body and the one that is very strong as it plays a big role in locomotion; however, if there ever was a contest for the strongest bone in dogs (and people too! ), the temporal bone would win first prize. 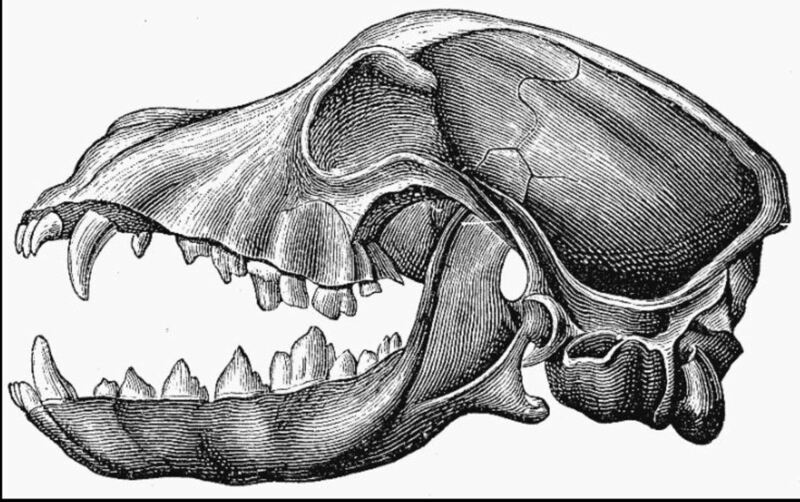 The temporal bone in dogs is a flat piece of bone situated on the sides of the dog’s skull. It encloses the dog’s inner ear and its associated little ossicles. Its petrous portion is known to be one of the densest bones of the body. Just think that the term “petrous” comes from the Latin word petrosus, which means “stone-like, hard.” This piece of bone is one that is easily retrieved in archaeological findings due to its high density. This bone’s strategic position therefore protects the dog’s hearing and balance systems. Did you know? From an archaeological perspective, the petrous bone is quite valuable. Not only it is dense, and as such, long lasting, but it’s also good in carrying DNA. Consider that when you try to get DNA from a fossil, most will come from microbes rather than the animal, but, according to an article on The Atlantic, when you are dealing with a sample of petrous bone, you have a chance as high as 80 percent that the DNA will be from the actual animal.